Fitbit today announced the Fitbit Versa, which the company described as the "smartwatch for all." The Versa has a few features that directly compare it to the Apple Watch, as well as an overall design that looks similar to Apple's wearable device. Alongside the Fitbit Versa, Fitbit announced a kid-focused Fitbit Ace device and female health tracking coming to the Fitbit iOS app. Fitbit said the Versa is the "lightest metal smartwatch" in the United States market, with a case made out of ultra-thin, anodized aluminum that is slightly tapered and angled so it fits small or large wrists. The device's touchscreen supports a brightness of up to 1,000 nits, allowing users the ability to read the screen in bright environments, and it has a battery that will last for 4+ days. 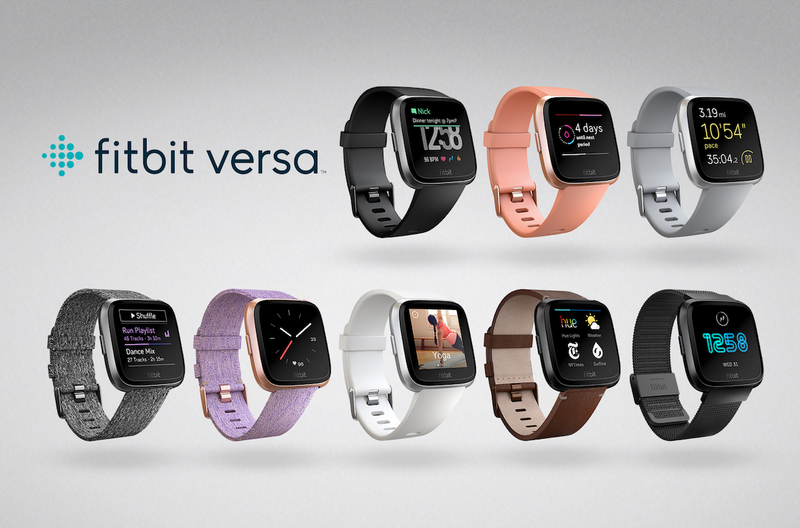 The Fitbit Versa has many of the expected features seen in previous Fitbits, like 24/7 heart rate tracking, onscreen workouts, onboard music storage, automatic sleep tracking, and wallet-free payments on the Fitbit Versa Special Edition with an NFC chip. Fitbit will also sell a variety of accessories, ranging from stain-resistant classic bands to Horween leather, stainless steel links, metal mesh bands, and a designer collection. The new smartwatch will launch with Fitbit OS 2.0 for the company's line of wearable devices, which will include a new personalized dashboard for a simplified overview of a user's health and fitness data. Users will be able to see daily and weekly health stats, historical activity, heart rate, exercise summaries, motivational messages, tips, and daily guidance, all from their wrist. Music on your device: Listen to phone-free music anywhere using Bluetooth headphones like Fitbit Flyer, including 300+ songs from your personal music collection, your favorite stations from Pandora, and now your own or curated playlists as well as Flow from Deezer. Fitbit Ace, the kid-focused wearable band, will include many of Fitbit's features in a pared-down hardware model. Kids eight and older wearing the device will see that it automatically tracks steps, active minutes, and sleep on a five day battery. 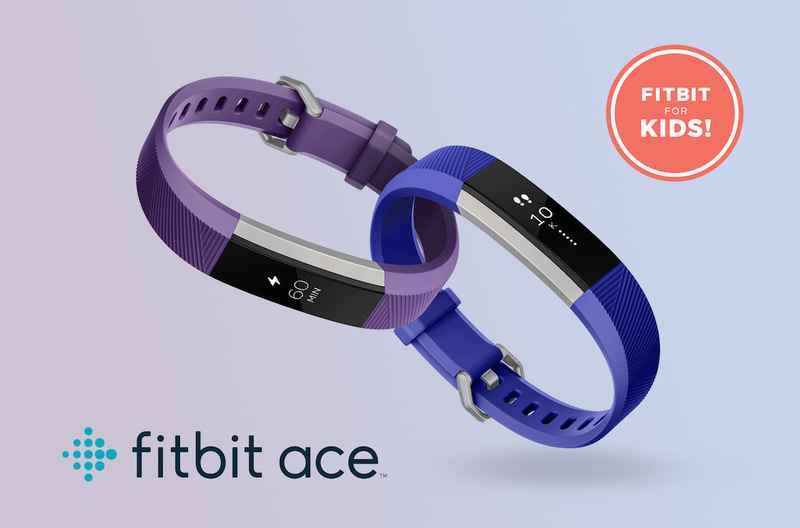 Using a Fitbit family account, parents will be able to monitor and control who their kids connect with in the Fitbit app and other features of the Ace band. The band will remind kids to move, and reward them for listening to such reminders with collectible badges. Coming soon, Fitbit will launch daily and weekly challenges where families and friends can compete against one another in certain health goals. There will also be a "Family Faceoff" that challlenges family members in a family account to earn the most steps in five days. Fitbit Ace can be pre-ordered today on Fitbit.com for $99.95, and will launch in Q2 2018. Fitbit Versa is available to pre-order today on Fitbit.com and at select online retailers tomorrow, priced at $199.95. The smartwatch will come in the following colors: black with a black aluminum case, gray with a silver aluminum case, and peach with a rose gold aluminum case. Band accessories will start at $29.95 and cap at $99.95. For those who want the NFC-enabled Fitbit Versa Special Edition, that model will be $229.95. The device will officially launch worldwide in April. WOW Pebble 4 is looking real good ! Ive and Ahrendts' arrhythmia alarms just went off, someone call 911. They look like dollar store merchandise. I like the kids model better. Why do you need Fitbit logo in the bottom of the screen? Poor use of space. While there are advantages (longer battery life, etc.) there's two problems with the Fitbits versus the Apple Watch for me—one, tighter integration with the latter, which they can't really do anything about, and weak hardware quality, which they can. As expensive as they are, the fact that my family and friends have burned through Altas and Charges doing nothing more than being active commuters means that it seems like it'd be more cost-efficient to just buy an Apple Watch on the expectation I can go two years without breaking it. These seem to be chasing the Watch more directly but given my reliability concerns I wouldn't bite. I know Apple has one of the best selling smart watches on the market, but I am not sure the smart watch brand makes a difference. There is no feature in the Apple Watch that makes it sticky to the Apple environment I live in. My phone, tablet and computer all have those integrations that make them convenient. I received notifications from my Garmin. The Garmin had better battery, sleep tracking, fitness data and integration to my sporting life. I am seriously thinking about selling my Apple watch and getting a VivoActive 3 or Fenix 5. I actually recommend Fitbits and Garmins over the Apple watch anytime someone asks. Depends on cost. Folks might go for this if it is more affordable and has enough functionality. Plus, the app works across mobile operating systems unlike Apple Watch. Yep. I think it's accurate to say "you probably can't go against Apple in the spots it directly competes and expect to win", but given that Apple doesn't try to be everything to everyone (especially at all price points), there's plenty of room in their shadow to make money. You won't be making Apple money, but what's wrong with just making less? Nice looking although I prefer the rugged outdoor look better. The price is right that's for sure. Did not see anything about water resistance. I know from experience, Fitbit's of the past were not waterproof, that's why I went with the Garmin Fenix 3. Their website advertises "Swimproof**" and then in small characters at the bottom "**Water-resistant to 50M.". Not bad.